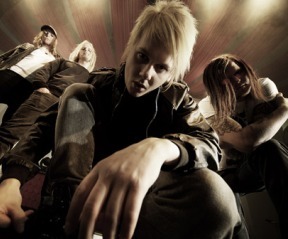 The young band from Helsinki offers an excellent album full of great rock and Amazing lyrics! Although being young, the Finnish band has already a wide experience. They have played more than 300 live gigs and released a few albums before this current Sucker for Love, apart from touring with names like The Rasmus. Actually, if you like The Rasmus, probably you will enjoy them too, although Deep Insight goes a bit less “darker” and more oriented into an American rock sound. And I like it. The vocals of Jukka are awesome, very well backed up by the rest of the band that offers a great orchestration in every track. Songs like Let me Go! , Rock with my Band, Dangerous or Sucker for Love would perfectly be number 1 hits with a bit more of promotion. The record is all in all a very nice surprise indeed and a great rock album. They will be touring intensively all over Finland this summer, so I advice you not to meet them on stage!